In January, I reviewed two handmade snack bags I purchased on Etsy, for my daughter to take to preschool. 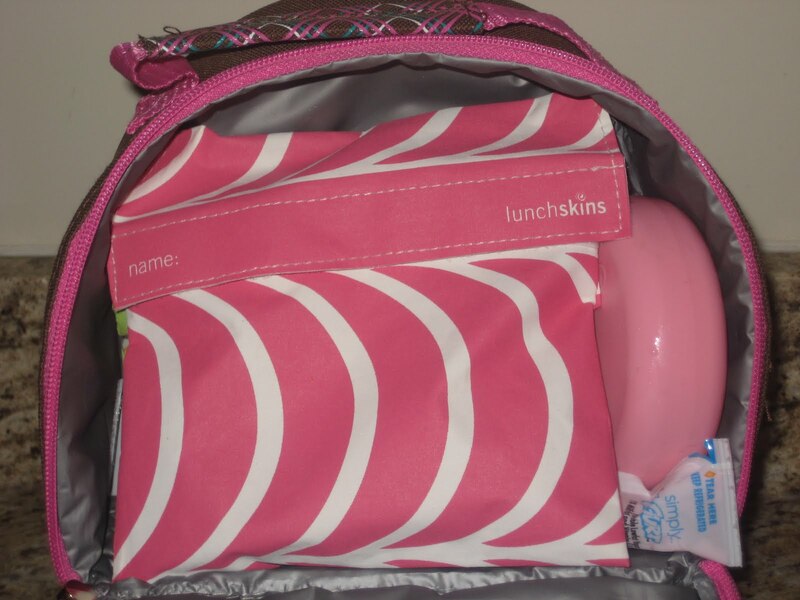 The smaller, pink polka dotted snack bag I purchased from cottontopquilts, was used twice per week from January through June. It’s still works wonderfully and we’re using it for Kindergarten as well. 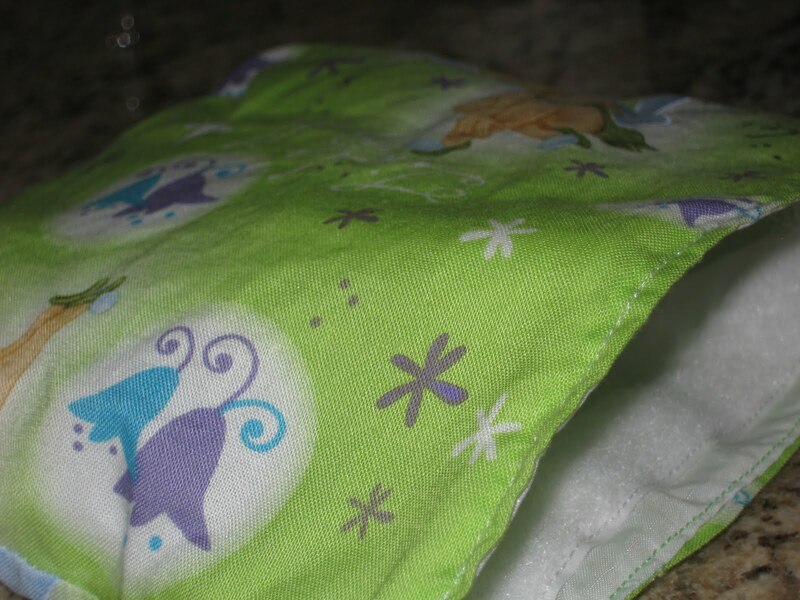 Unfortunately, the Tinkerbell print bag from smartsnackbags did not fare as well. I used the smaller bag each time she went to preschool for various snacks. I only used the larger one when I sent fruit, or something else that wouldn’t fit in the smaller bag. Thus, it was only used once or twice per month, and was treated with care. Unfortunately, after 4 months of occasional use, it had fallen apart. I typically just wiped it or shook it out, but happened to flip it inside out one day and saw what it looked like. My daughter told me it had looked like that for a while! I contacted the seller to let her know what had happened, wondering if she’d had other problems with them. 3 months later I still haven’t gotten a response. Oh well! In any case, I wanted a new, larger snack bag, and I wanted to get a few, since she’d be eating lunch at school every day at Kindergarten. When I saw this lunchskins bag at our local organic market for $7.69, I had to pick it up. My daughter loves pink! 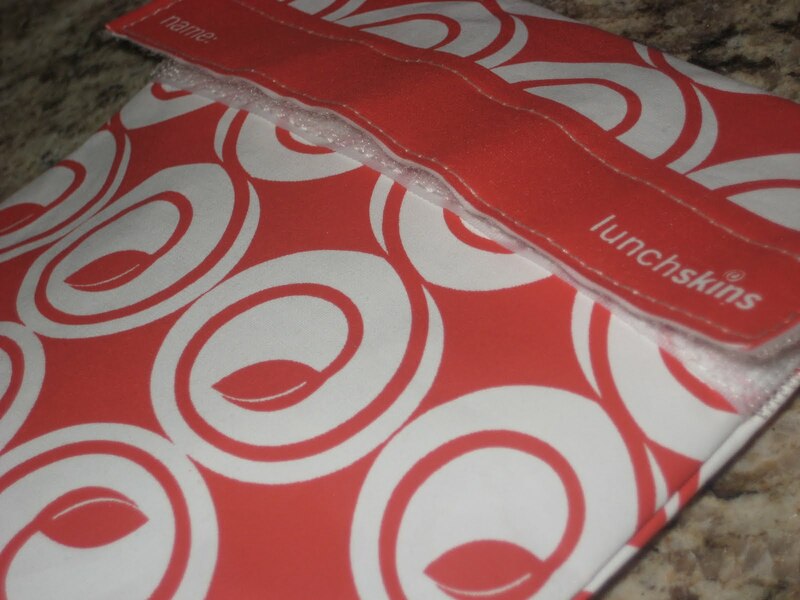 Lunchskins are made of thick cotton fabric, coated with a food safe polyurethane liner. They are lead, BPA and phthlate free. 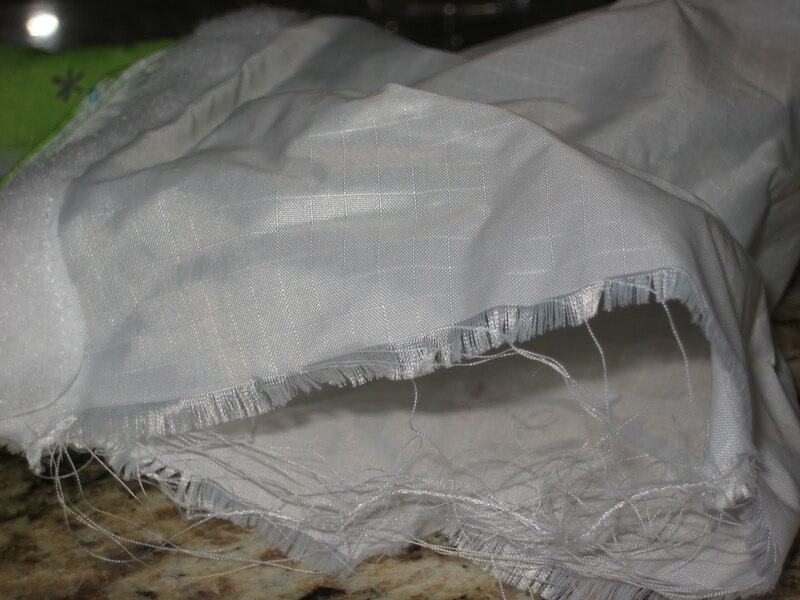 The bag is very sturdy and durable, and appears to be well made. 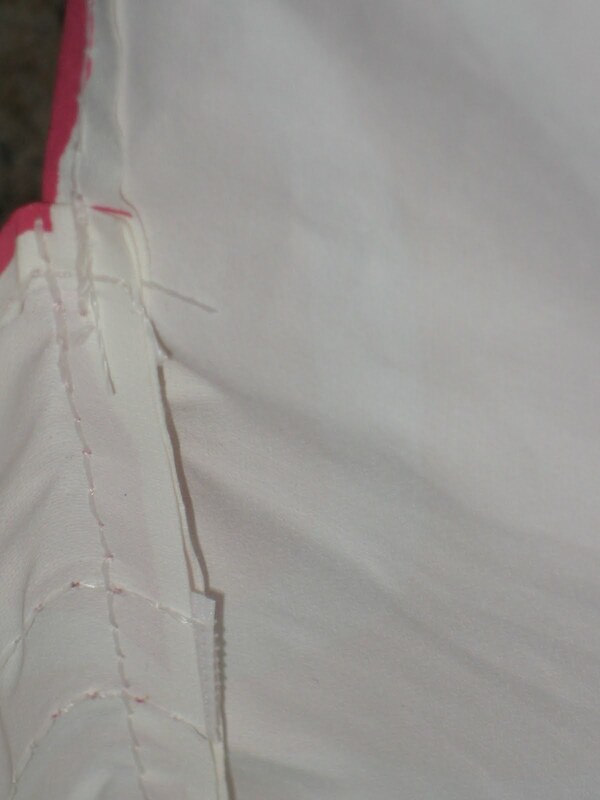 The above photo is the inside seam, I don’t think this one will fall apart! I had planned to use the sandwich size bag as a large snack bag, but it became a sandwich bag when I discovered that the plastic sandwich tote Grandma had bought wouldn’t fit in her lunch box! It fits well and it didn’t get squished. Since we compost, my daughter doesn’t throw anything away at school, so I’m not worried about it getting tossed. Her crusts were still soft when I emptied her bag! After using it for a week, I had to have more. With back to school, it was slim pickings at the store, so I got the last sandwich size bag they had. My store also had the sub size bags, but they didn’t have the snack size bags, which I want! The bags come in tons of cute colors and patterns, and you can use them in pretty much any case that would have you reaching for a plastic bag! Direct from Lunchskins, the sandwich size bag I purchased retails for $8.95. The sub bags are $10.95 and the snack size bags are $7.85. It may seem like a pricey investment, but they can be reused hundreds of times. I don’t buy many plastic bags, but I remember being shocked at the price the last time I did. P.S. Boy does the word sandwich ever look weird after typing and looking at it so many times, I had to spell-check to make sure I wasn’t spelling it wrong! P.P.S. My spell-check wants to change smartsnackbags to stinkbugs, which I find hilarious. FTC Compliance: All products pictured/discussed/reviewed were purchased at normal store prices by me. All opinions are my own, based on my experience.